MARY-JANE NEWTON was born in Goa in 1983, and spent the first years of her life in India. She subsequently grew up in Germany and England, and now grows up in Hong Kong. Mary-Jane’s work has been published in literary journals and anthologies in Asia. She regularly reads at live poetry events in Hong Kong. With a background in linguistics, communication and cultural studies, Mary-Jane aims always to meet her reader elsewhere, other than where words command us: beyond and beneath their meanings. Her first poetry collection, "Of Symbols Misused" was published by Proverse Hong Kong in March 2011 and her second poetry collection, "Unlocking" in April 2014. 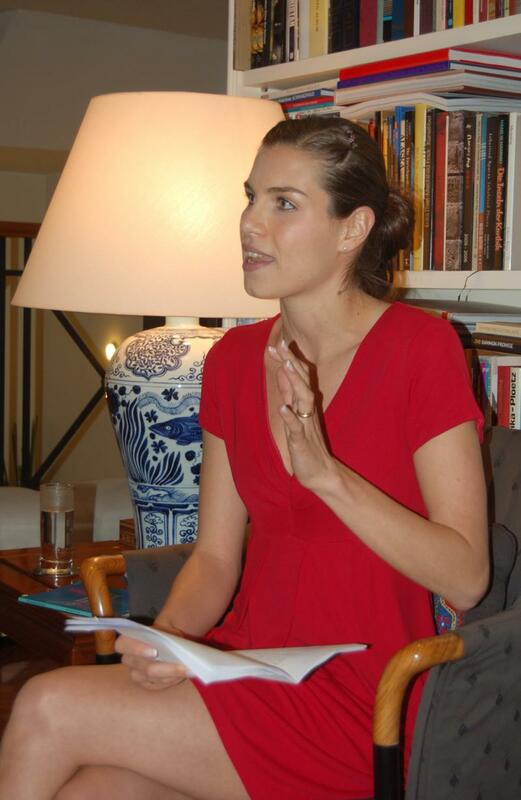 Mary-Jane Newton (Of Symbols Misused, Proverse, 2011), recently gave a most successful poetry reading at the residence of the German Consul-General. Mary-Jane Newton reading See photo below.